The first look at using Mocha shapes as roto-splines. 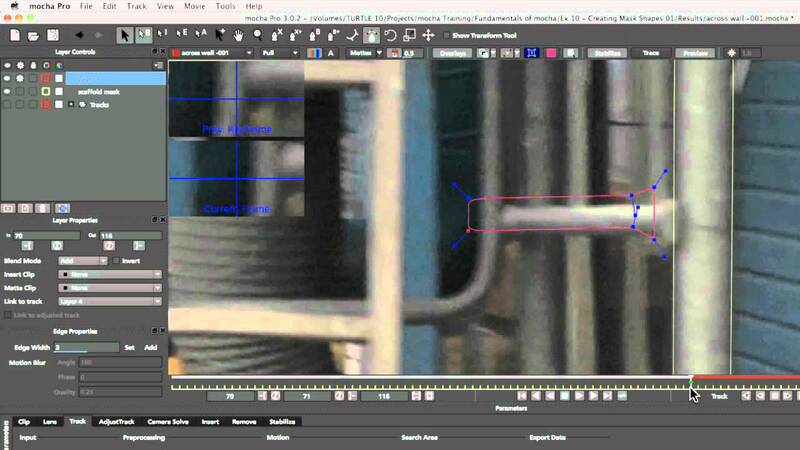 We discuss how methods for most effectively reducing the amount of hand roto by creating a master track layer to connect other layers to. We look how to best animate our shapes, both in terms of speed and accuracy. Finally we take our shape layers into After Effects and look at the advantages to using them as native mask layers or using the Mocha Shape plug-in. We finish the shot by adding motion blur to our object and our mask shapes.